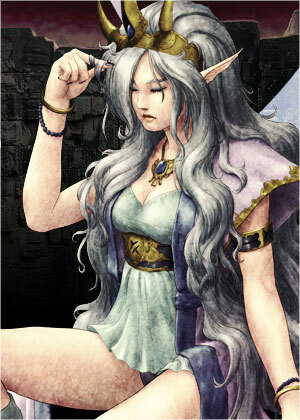 The queen of the fairy clan, existed on our land at one time. This clan had come into being as the same time as Four Philosophers', and existed on our land at one time. They are rather to be spiritual critter than natural life forms, and the same queen stays still without taking over by the other. You will be tested before given the help of her. She is charged with other important mission, but it is not revealed if an adventure finally does not approach.